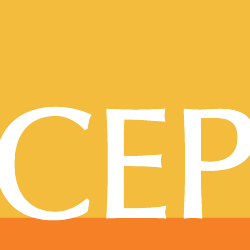 The funder-grantee relationship is one of the major thematic areas covered by CEP’s grantee survey, which asks about interactions — staff responsiveness, the foundation’s approachability, and grantee perceptions of being treated fairly — as well as the clarity and consistency of communications between the funder and the grantee. Similarly, our donor perception report looks at the relationships between donors and the community foundations to which they give. Why? Because relationships are important. In our grantee survey, we see correlation between grantee ratings of their relationships with their funders and measures of impact. Quality of relationships between donors and community foundations is related to donor satisfaction, too. We say this all the time to foundation staff and board members: relationships matter. Naomi Orensten is a manager, assessment tools, at CEP. Follow her on Twitter at @naomiorensten. You can read her article in The Foundation Review, entitled “Effective Consulting Partnerships to Philanthropy,” here.